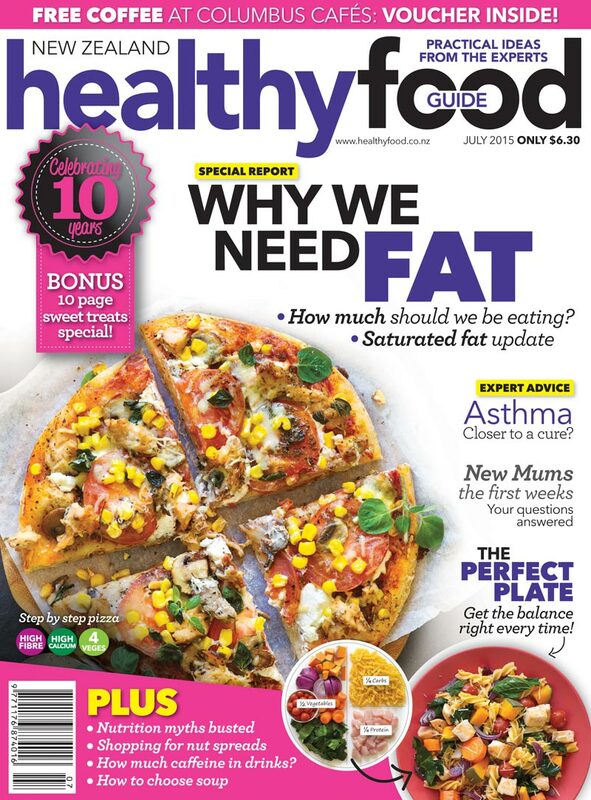 Healthy Food Guide is the top selling food magazine here in New Zealand and is currently celebrating it’s 10th birthday. Thanks to Healthy Food Guide, I have 3 x 12 month subscriptions to give away. Competition details at the bottom of this post. We have a shameful history of demonising foods. Butter, saturated fats, red meat, salt, sugar, seafood, carbs, grains have all been glamourised and shunned. I’ve never professed that this blog was a healthy food blog (and it still isn’t), but food and nutrition are inextricably tangled together. There is so much misinformation and pseudoscience out there both online and in print. Blogs sometimes cite unproven, anecdotal information without real science to back it up. There is no-one fact checking blogs and with cases coming out like Belle Gibson and The Whole Pantry, it is clear that self regulation does not work. That’s why it is comforting to have experts such as the Healthy Food Guide here in New Zealand. Niki Bezzant is the founding editor of Healthy Food Guide and contributors include nutritionists, dieticians, chefs, nurses, endocrinologists and scientists writing about a range of topics including nutrition, allergies, new research, superfoods and up to date information on superfad diets. …as well as lots of recipes, Healthy Food Guide is accessible for the every day home cook and consumer. This competition is open to New Zealand residents only. 3 winners will each receive a 12 month subscription to Healthy Food Guide. Entries close Tuesday 21 July 2015. Winners will be drawn on Wednesday 22 July 2015 and contacted by email and announced here and on Facebook. I love the Healthy Food Guide magazine! Awesome giveaway hun! I’m always struggling with healthy eating and the thing with it is that you never actually know ‘who to believe’ specially with all the healthy bloggers debacle lately. Agreed! I’m trying to inject more fresh vegetables into my life. But I’m sure you can relate when I say, I love meat. I get a big box of fruit and vegetables delivered once a fortnight which is great for forcing me to cook with lots of vegetables. Filling my plate with half vege is an easy way to find balance, though one that I haven’t started doing yet! That’s so cool to learn they are the top selling magazine, I love them. I never think of myself as a particularly healthy person but they always have great tips and recipes that are realistic.